Another Louisiana Taxotere hair loss lawsuit has been filed. The lawsuit was filed in the U.S. District Court for the Eastern District of Louisiana against Sanofi-Aventis over the failure to warn about the side effects of Taxotere. Taxotere use in breast cancer chemotherapy associated with increased risk of permanent and horrendous hair loss. 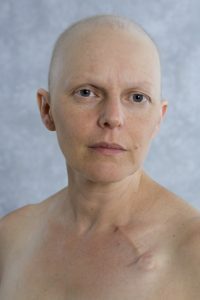 According to Iris Guidry, in her Louisiana Taxotere hair loss lawsuit, claims that the chemotherapy drug Taxotere caused her to suffer permanent and horrendous hair loss, which is not associated with other effective breast cancer treatments. Guidry claims that Sanofi-Aventis withheld critical information and warnings from patients and doctors about the risk that patients may experience permanent hair loss from Taxotere. Temporary hair loss is to be expected after chemotherapy, and the drug manufacturer claimed that hair grows back after Taxotere use. But, Guidry alleges that since she received breast cancer treatments involving Taxotere in 2011, she has continued hair loss side effects. Many Taxotere failure to warn lawsuits are filed across the U.S., claiming that Sanofi-Aventis did not adequately disclose the risks of permanent and horrendous hair loss, providing reckless marketing statements. The lawsuits also claim that the drug manufacturer actively encouraged doctors to use Taxotere despite its risks and despite the availability of other, safer cancer treatments.